· Writing for EdSurge, Wendy McMahon explains how Venkat Ratnam developed WhizRead, an app that helps struggling students learn how to read through pronunciation and much more. · How is technology helping student learn? How is the WhizRead app changing the game and leveling the reading playing field? 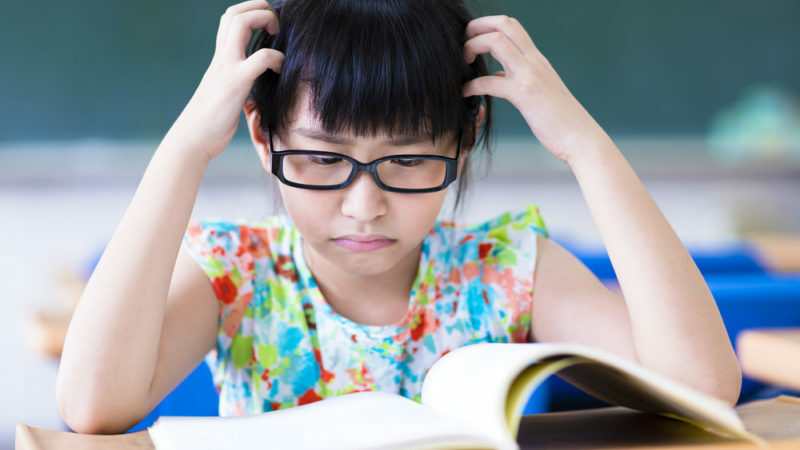 · Here’s more on how to help struggling young readers. Venkat Ratnam developed WhizRead, a multisensory reading support program, out of pure fatherly love. In 2013, a realization washed over Ratnam and his wife. While they both had successful careers, they were paying a cost. Ratnam wanted to spend more time with their two children, then ages nine and five years old—particularly with his son, who was struggling with learning difficulties. “How could we let our children grow without much support?” asks Ratnam. So Ratnam left his 23-year career as a professional services leader for software companies to create a solution that would help his children and others. Since he now had the opportunity to manage his own time, Ratnam had the chance to drive his children to school and after-school activities, working with their school’s PTA, volunteering for the science fair and helping with homework every evening. One night, during a reading comprehension assignment, Ratnam’s son got stuck on a particular word: “stagecoach.” Ratnam did his best to explain the word and they moved on. Even so, his son continued to stop throughout the text and ask for the meaning of many other words. Interested in learning more about Tech for Good? Other readers at Giving Compass found the following articles helpful for impact giving related to Tech for Good. Giving Compass' Take: • Philanthropy News Digest talks with technologist and author Ann Mei Chang about the relationship between the tech sector and philanthropy, what nonprofits can do to innovate and the importance of next gen entrepreneurs. • Chang emphasizes the hard work that goes into social change, taking a concept that already exists and adapting it, rather than always chasing after the next big, flashy idea. Are we willing to put in the necessary "blood, sweat and tears"? • Here are more details on the roadmap to impactful social innovation. Poverty. Mass migration. Economic dislocation. Climate change. The problems confronting societies around the globe are big — and getting bigger. The resources available to address those problems, however, are shrinking, as governments burdened by huge debts and future obligations and corporations wary of controversy pull back from “feel-good” causes and collective action. And while countless foundations and civil society groups continue to fight the good fight, their resources seem Lilliputian compared to the magnitude of the challenges we face. It’s a moment that demands big thinking, bold thinking — but also creativity and out-of-the-box thinking. The kind of thinking we’ve come to expect from Silicon Valley, the global epicenter of a certain kind of innovation and can-do spirit. The question, for many, is: What, if anything, can technologists teach nonprofits and social entrepreneurs about social change? In her new book, Lean Impact: How to Innovate for Radically Greater Social Good, Ann Mei Chang, a respected social change-maker and technologist, tackles that question head-on. Based on interviews with more than two hundred social change organizations spanning almost every continent, the book distills the lessons learned by change-makers over the years into a set of "lean" principles for nonprofits looking to innovate their way to greater impact. "The organizations that I have found to be the most impressive and most successful were the ones that think big and plan based on the real needs in the world," she says. "It forces them to make different decisions." Read the full article about innovating for greater social impact by Mitch Nauffts at PhilanTopic.